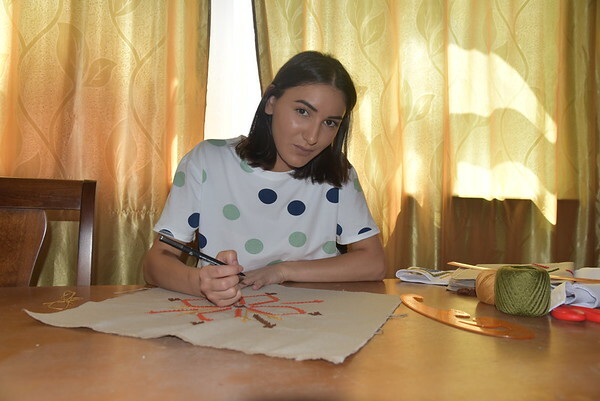 Twenty-two-year-old Arpi Grigoryan wants to be a fashion designer. She also has a goal of one day opening up a cultural center for young women so that they might be more exposed to the arts. Arpi was placed in Vanadzor Orphanage at age four. After transitioning out of the system at age 18, she moved into Mer Doon, a home specifically for young women who’ve aged out of orphanages. FAR then awarded her its Gulamerian Scholarship so she could pursue a degree in fashion at Vanadzor State Vocational College, and then continue her studies at Armenia State Pedagogical University.